February | 2019 | COMMUNITY ACTION ALLIANCE FOR NSW (CAAN): HOUSING INEQUALITY WITH AUSSIES LOCKED OUT! INTEREST RATES SET TO BE SLASHED AS JOBLESS RATE RISES, BANKS WARN! 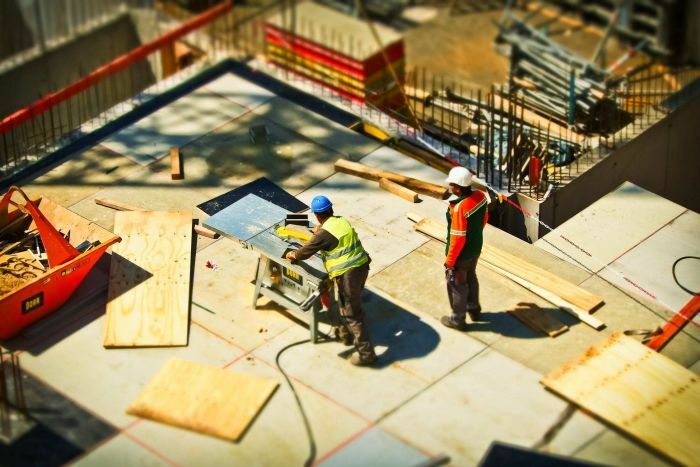 Several leading economists are warning that 50,000 construction jobs might be lost. Australia’s unemployment rate is on the cusp of a significant increase, according to warnings from three major financial institutions. That is in contrast to last week’s parliamentary testimony from Reserve Bank governor Philip Lowe, in which he said employment would continue “growing strongly”. The construction sector has enjoyed a once-in-a-generation boom, creating hundreds of thousands of jobs over the past decade. But official data released yesterday shows Australia’s construction sector has not only hit the brakes, it has moved sharply into reverse, and with that comes the potential for mass job losses. “Whatever it is, it’s going to be a significant number. Growth in the construction sector had been fuelled by the recent huge surge in property prices, especially on the east coast. But construction activity has fallen as house prices in Sydney and Melbourne have recorded double-digit declines. There is also evidence that property investors, home owners, and those in and around the construction industry have become more thrifty, which is producing significantly less foot traffic in shops and malls around the country. AMP believes this may also lead to sizeable job losses in the retail sector. “This is probably even more so, in terms of construction, in retailing,” Dr Oliver warned. “Consumer caution might step-up a notch over the course of the next 12 months as house prices come down. “We’re looking at quite a slowdown in consumer spending, that’s going to weigh on employment in retailing. You’re probably looking at least another 50,000 or so [job losses], but it’s very hard to put a precise number on it. Mr Cacho described AMP’s forecast of at least 50,000 retail job losses as “reasonable”. Combining job losses in construction and retail, and a significant slowdown in the growth of jobs in other sectors caught in the crossfire of the housing market downturn, UBS warned the unemployment rate could rise as high as 5.5 per cent, its highest level since April last year. “That’s driven by a slowing in jobs growth, so not outright job losses but jobs growth slowing from around the 25,000 pace we’ve seen per month to more like 14,000 by the end of the year,” Mr Cacho said. AMP has the same downbeat forecast on the jobless rate. “We see the unemployment rate rising to 5.5 per cent,” Dr Oliver predicted. Dr Oliver told RN Breakfast both the Reserve Bank and the Federal Government were still too optimistic on the outlook for the economy. Leading accounting firm KPMG has also run the numbers on the economic outlook. Its economic modelling matches up with AMP’s data. “The Australian economy, just like every other economy, experiences a business cycle,” the firm’s chief economist Brendan Rynne said. “In that business cycle there’s a peak, a trough, an upswing and a downswing. He is not predicting mass job losses, but he is forecasting a rise in the unemployment rate to 5.5 per cent as competition for fewer job openings grows. That, he warned, could further weaken the economy. “So we’ve only just recently pulled our forecast down to expect economic growth for the 2019 financial year now to be around 2.3 per cent,” Dr Rynne cautioned. 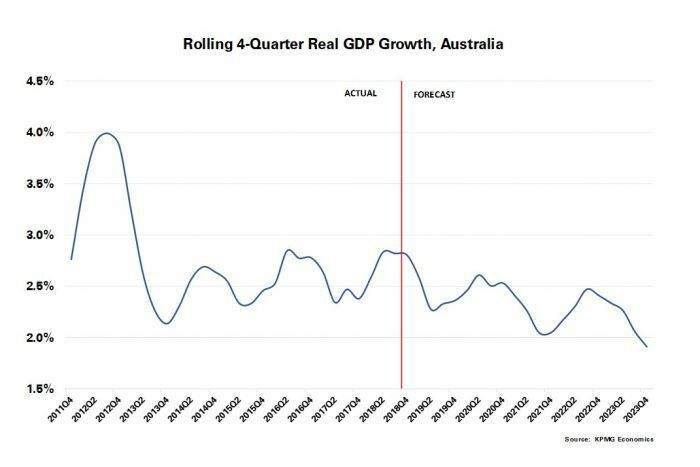 PHOTO KPMG is expecting Australia’s economic growth rate to keep slowing from recent levels. “That’s below the official Reserve Bank GDP forecast of 2.75 per cent growth. The global accounting firm also has its eye out for economic threats from offshore. KPMG said it had come up with what it is calling a black swan scenario, which could see the Reserve Bank drop official interest rates to zero. “We have that capacity, we don’t necessarily need to go into some sort of quantitative easing [money printing] arrangement,” Dr Rynne argued. But, given the concerning outlook for the jobs market over the next 12 months and the resulting economic slowdown, many major financial institutions, now including Westpac, are predicting the Reserve Bank will be forced to cut the official cash rate, not once but twice, by this time next year. “By this time next year we expect the Reserve Bank to have cut [interest rates] twice: one cut in November, and another cut in February,” said Mr Cacho. 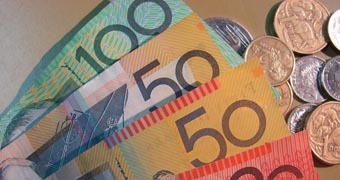 What will interest rates and the Aussie dollar do in 2019? Business reporter Michael Janda asked half a dozen experts to get their views on the outlook. Dr Oliver agreed there would be two moves, but said they would be even earlier. But Dr Oliver noted the Reserve Bank would want to have a look at what the federal budget looks like in April, who wins the election and what that means for fiscal stimulus. Economists are now eagerly awaiting the next official reading on the overall performance of the nation’s economy, to be released by the ABS next Wednesday morning. SINCE 2011 … It appears …. “Complex legal terminology and ignorance by the mainstream media is making environmental protection increasingly difficult, writes Sue Arnold. Complex legal terminology and ignorance by the mainstream media is making environmental protection increasingly difficult, writes Sue Arnold. 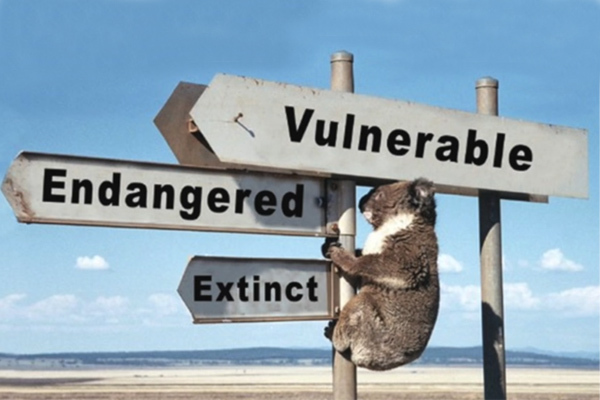 THE ABILITY OF Australian conservation organisations, community groups and the legal profession to prevent environmental crises are rapidly disappearing in a swamp of jargon and changes which will irrevocably reverse environmental protection. It’s pretty clear the same thing is happening in Australia as the mainstream Murdoch-dominated media continues its dedicated censorship of this critical erosion. Stripping democratic rights is always heavily disguised in complex language and the decisions which provide legitimacy are beyond everyday understanding. By far the most serious, in terms of wildlife protection, is the Memorandum of Understanding which set up the Common Assessment Method (CAM) signed off by Greg Hunt in 2015 when he was Environment Minister. The MoU was signed by all states. The CAM allows for one national listing of species, in total contradiction of sane ecological protection, science, common sense, regional differences and the importance of protecting small populations of rapidly disappearing and uniquely Australian wildlife. 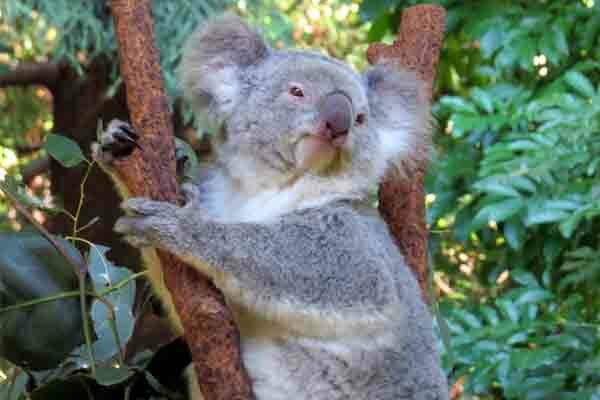 CAM was used in NSW to deny the upgrading of Port Stephens koalas to endangered. Prior to the repeal of the Threatened Species Conservation Act 1995, the NSW Scientific Committee made a preliminary determination to upgrade the colony. When the Baird/Berejiklian Government brought in the Biodiversity Conservation Act 2016, which seriously weakened environmental protection in NSW, a new NSW Scientific Threatened Species Committee was set up. This Committee reviewed the Port Stephens koala preliminary judgement and on the grounds of the CAM, denied an upgrade. An extraordinary decision, given that after the original preliminary determination, three major bushfires had wiped out critical habitat, killing an unknown number of koalas. Development projects have increased and although the second assessment demonstrated a much worse situation facing the koalas, the CAM was the only instrument relevant to the decision. Koalas are listed under the Environment Protection & Biodiversity Conservation Act (EPBC) as “vulnerable” in NSW, Queensland and the A.C.T. 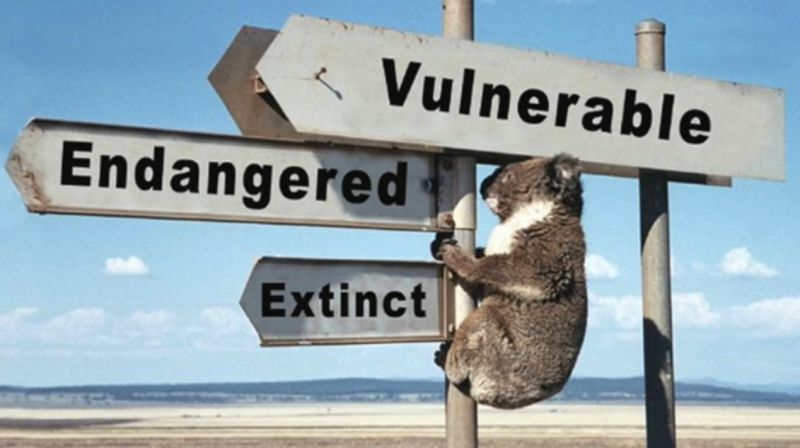 The “vulnerable” listing now remains the legal status of koalas throughout Australia. The CAM effectively deprives any endangered or critically endangered koala colonies of upgrading, no matter what the circumstances may be. It’s estimated that koala numbers in Australia have fallen by 95 percent since white settlement, with the marsupial now listed as a vulnerable species. How much can a koala bear: is Australia’s cuddly icon headed for extinction? Estimates of their numbers vary wildly, but experts agree that the koala is facing a very real threat to its very existence. In mid-February, Environmental Defenders Office NSW advised its clients that the Federal Minister for the Environment, Melissa Price, is poised to co-sign “minor” amendments to an Agreement that will outsource national environmental assessment and officially endorse the trajectory of biodiversity decline in NSW. In September, the former Commonwealth Environment Minister published an intent to develop a draft bilateral agreement with NSW in relation to environmental assessments, to potentially accredit these new laws (as the existing agreement accredits the former law and policy). The stated intention included to amend the classes of actions that could be exempt from national assessment requirements, and instead be assessed under the new NSW laws. That intent to endorse new legislation and new standards has since been classified as a “minor” amendment. Most changes reflect wording in the new NSW legislation. While the relevant parts of the legislation keep the same intent, names and numbers have changed and need amendment in the Bilateral Agreement. This sounds like an exercise in simply updating names and numbers, but it is not. While it is true that the intent of the Bilateral Agreement remains unchanged in relation to the objective to “minimise duplication in the environmental assessment and approval processes of the Commonwealth and NSW”, it is disingenuous to claim the intent of the legislation being accredited is unchanged, given the substantial weakening of NSW biodiversity laws. The actual detail of what laws and standards are being accredited is substantially different. What this actually means is that the Australian Government is proposing to accredit the NSW biodiversity offset scheme, which simply does not meet national standards. By categorising the amendments as “minor”, the process can be done with less scrutiny and accountability. The “minor” amendment process avoids requirements to publish reasons for the agreement, publish a report on any comments received on the draft agreements, and undertake consultation, including a requirement to consider the role and interests of Indigenous peoples in promoting the conservation and ecologically sustainable use of natural resources in the context of the proposed agreement, taking into account Australia’s relevant obligations under the Biodiversity Convention. This is significant as the Government is also quietly extending the agreement to cover Commonwealth land, which often has important biodiversity and cultural values. The EDO also advised that after a major freedom of information battle, the documents reluctantly provided by the Government demonstrated that the NSW Biodiversity Offset Policy for Major Projects failed to meet the environmental standards of the Commonwealth EPBC Act. It is not possible to challenge the amended Agreement. Submissions will be made by those organisations which follow the Machiavellian environmental non-policies of the Morrison Government. Without media coverage and given the level of complexity, the likelihood of substantive protest is remote. a constitutional issue can arise for a NSW law on the basis that it conflicts with a federal law that implements an international convention. So, the state law may be inconsistent and so invalid under section 109 of the Constitution. In the final analysis, the difficulties faced by environmental organisations in dealing with a potential constitutional crisis are enormous. Pro bono lawyers are an increasingly endangered species. The issues raised by the CAM and the amended Agreement will have profound impacts on any attempt to protect wildlife, ecological communities and plants. There’s little doubt that the governments supporting these measures are fully aware that the majority of conservation organisations are overwhelmed. 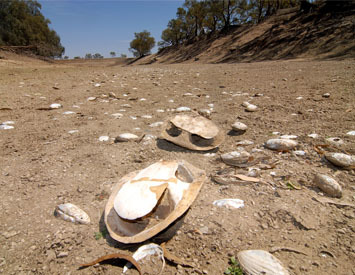 They’re dealing with major environmental crises such as the Lower Darling River, Murray Darling Basin management, the massive fish kills, catastrophic loss of wildlife, the proposal to dump one million tonnes of sludge in the Great Barrier Reef, deforestation and the state of our rivers taking up every spare moment. They can’t be serious. Agreeing to this… in an election year. EDO lawyers are similarly overwhelmed with environmental crises in every state, struggling to cope as funds have been stripped by governments. With no mainstream media exposing what’s happening behind the scenes, governments who are deaf to protest and the critical importance of healthy ecosystems, Australia is facing an alarming crossroads. Unfortunately, there’s no Adam Schiff in sight. The gathering would inform a Climate Change Act to drive the transition, including the setting of interim goals for 2025, Labor said in a statement. *Among the announcements, a Daley Labor government if elected on March 23, would expand the Tomaree National Park to increase koala protection near Port Stephens, and create a new national park between Glenfield and Appin where a healthy colony of the animal is at risk from new housing on Sydney’s south-western edge. Council will commence advocacy and take all steps to ensure extending the E2 conservation zone at the Ivanhoe Estate. Council confirms its opposition to the extreme overdevelopment of the site – from 259 dwellings to 3500. “Never forget that this is State owned land. We can do better,” Mayor Jerome Laxale. CAAN Photo: October 2018; a huge section of Housing demolished and trees chopped. Ryde Mayor Jerome Laxale is calling on the State Government to rethink its plans for the $2.2 billion Ivanhoe Estate development in Macquarie Park amid fears it would cause an “ecological disaster”. In a mayoral minute at tomorrow night’s council meeting, the Labor mayor will launch a bid to force the government to revise the scale, size and impacts of the 8.2ha development on trees and local wildlife. It’s expected more than 800 trees will be cut down to make way for the revitalisation of Ivanhoe Estate, on Epping Road between Herring Road and Shrimptons Creek. This is the first major project under the government’s Future Directions policy and $22 billion Communities Plus program. The Ivanhoe Estate redevelopment plan. “The revision should include enhanced tree retention, reduced building footprints and more open space,” said Cr Laxale, who will challenge Ryde Liberal MP Victor Dominello at the NSW election next month. “The Office of Environment and Heritage (OEH) has provided extensive comments to the exhibition of the concept redevelopment application for the Ivanhoe Estate and they have supported the council’s view on the importance of retaining the existing threatened ecological Sydney Turpentine Ironbark Forest community on and adjoining the estate, including along Epping Road. “In this regard, not enough has been done in the planning and siting of the proposed development to avoid directly impacting on the threatened ecological communities, where more than half of the existing threatened community is earmarked for removal. Photo taken at the site of the Ivanhoe Estate last year. “The OEH comments echo council’s policy documents. In 2016, council provided an urban design guideline to Land and Housing Corporation to supplement Ryde DCP 2014. “This included an objective to ‘Protect the existing natural characteristics of the site by promoting the revitalisation of Shrimptons Creek and the protection of significant trees along Epping Road’. Trees on the future Ivanhoe Estate taken last year. Cr Laxale said there would be a need for increased buffers and setbacks to the threatened communities or the development’s relocation. “As a minimum, council will expect a revision of proposed Ivanhoe Estate Master Plan to include the conservation of the Shrimptons Creek Riparian Corridor and to protect significant trees along Epping Road,” he said. “The revision should include enhanced tree retention, reduced building footprints and more open space. The New Daily and Michael West count down the 10 biggest corporate tax dodgers in Australia. Return on Monday when we reveal the nation’s eighth-biggest tax avoider. How, after booking $11.5 billion in total income over four years during the biggest building boom in history, does a construction materials manufacturer pay a touch under $6 million in tax? 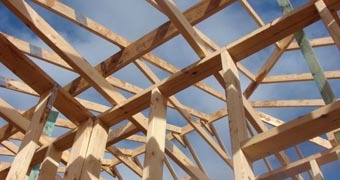 New Zealand’s building products juggernaut, Fletcher Building (Australia), managed to do it. Fletcher is the third Kiwi multinational in our Top 40. Along with New Zealand Milk (better known as Fonterra) at #26 and Burns Philp & Co at #39, the three trans-Tasman transnationals have recorded $25 billion in total income over four years and paid, well, pocket fluff in income tax. In Australia, Fletcher has admittedly taken some big hits to the likes of its Tradelink plumbing supplies business and Rocla Pipeline Products, while poor management decisions have battered profits – meaning a good deal of its tax avoidance might be deemed “accidental tax dodging” – but at the same time the business’s parent company has been paying not just tax, but dividends as well. It (Fletcher’s NZ parent) paid $290 million income tax during the same four years of recorded tax office data that its Australian subsidiary – with more than one-third of the cashflows – paid $5.7 million. Over the following two years, the Kiwi parent paid $177 million in tax, but its Aussie subsidiary, according to filings with the corporate regulator, paid just $25 million. There is a pattern here used by foreign multinationals operating in Australia; they pay little tax while they send off tens of millions of dollars in interest payments to their associated companies overseas. This is achieved through a process called ‘debt loading’, where a foreign company makes a loan to its Australian subsidiary, which then sends money back as interest repayments rather then hanging on to it as taxable profit. In this case, Fletcher has paid $110 million to its associates as interest over the past two years. As at June last year, there were $728 million in non-current loans from related parties, according to the latest filings with ASIC, versus just $8.7 million owed to “other” external lenders. Yet Fletcher has also generated large tax losses, and those tax losses have shielded the company from paying tax on its profits. The latest accounts show revenue up from $3.46 billion to $3.64 billion in 2018, for a net profit of $43.7 million. The group paid $16 million in tax, up from $9 million in 2017. Bear in mind these figures are post the ATO data. In its 2017 Tax Transparency Report, Fletcher Building said it “paid or collected approximately $232.2 million of taxes on behalf of both federal and state governments in Australia”. Only $1.6 million was corporate tax however. Most of it was collected rather than paid: $77.1 million GST, $3.6 million fringe-benefits tax (FBT), $125.2 million PAYG and $24.5 million in payroll tax. This is part two of a 10-part series on the nation’s biggest tax dodgers. Click here to see part one. https://www.scribd.com/embeds/400443913/content?start_page=1&view_mode=scroll&access_key=key-ooxdrkmSg8ieauz9qYXL&show_recommendations=trueFor the full details of Michael West’s investigation into Australia’s 40 biggest tax dodgers, you can visit his website, here. Ford Motor Company of Australia Ltd has come in at 10 in our countdown of the country biggest tax dodgers. The New Daily and Michael West count down the 10 biggest corporate tax dodgers in Australia. Return on Thursday when we reveal the nation’s ninth-biggest tax avoider. Over the four years of available transparency data from the Australian Tax Office, Ford Motor Company has booked more than $11 billion in total income yet paid zero tax, despite producing a small taxable profit of $45 million. When it comes to the worst corporate taxpayers in Australia, the carmakers are right up there with airlines and the oil and gas industries. Like its rivals, General Motors and Toyota, Ford contributes little or nothing to Australia in terms of income tax, yet the automakers have won billions in government handouts over the years, often made losses and very rarely pay tax. In the years when they do make a profit, their profits are reduced by transfer pricing and sheltered by large tax losses incurred in the lean years. Not all automakers fail to pay tax, however, with Mercedes-Benz being a notable exception. In defence of Ford, it should be said that this is a high-cost, highly competitive industry and the three automakers on this Top 40 list – Ford, Mitsubishi and Nissan – have collectively recorded total income of almost $30 billion over the four years of available corporate tax transparency data. Sadly, Ford closed its manufacturing operations in Australia in October 2016 so it has incurred further large losses for redundancies and closure costs since then. The ATO data extends from 2013 to 2016. In its latest accounts, Ford records a profit of $27 million for the year to December 2017 on revenues of $3.5 billion. Zero tax was paid. Government grants income fell from $41 million in 2016 to $1.6 million in 2017 and the company said it spent $471 million on R&D. It has also spent $11 million over the past two years on redundancies, so there are some legitimate reasons why Ford is not paying tax. Due however to Australia having no limit on how long companies can bank tax losses, Ford is unlikely to pay tax for many years to come. Its accounts show $692 million in unused tax losses and another $107 million in tax offsets. Elsewhere on the Top 40, Nissan at #15 recorded $9.7 billion income over the four years and paid just $476 income tax. Mitsubishi Motors Australia at #23 shows $8.3 billion income and zero tax. General Motors has dropped off the chart this year. https://www.scribd.com/embeds/400443913/content?start_page=1&view_mode=scroll&access_key=key-ooxdrkmSg8ieauz9qYXL&show_recommendations=trueFor the full details of Michael West’s investigation into Australia’s 40 biggest tax dodgers you can visit his website, here. LNP COALITION MOVES TO LET MPs SPEND $MILLIONS MORE TAXPAYER $$ ON ADVERTISING! Mortgage arrears provide a timely indicator of urgent or distressed sales – the presence of which can precipitate significant price weakness. For most existing home owners there is a degree of optionality when it comes to transacting in the housing market – a decision to sell can usually be delayed if market conditions look likely to disappoint. However, for owners that are struggling to meet their debt servicing obligations, selling may be a more urgent requirement with vendors more willing to accept lower prices in order to achieve a sale. The most readily available measure for the Australian market is Standard & Poor’s SPIN data based on the performance of securitised mortgages. These show the proportion of loans by value that are over 30 days in arrears – in most cases meaning they have missed at least one repayment. The monthly measure goes back to 1996 and is available by state. Charts 18-20 show arrears rates nationally and across the major states compared to estimates of the debt servicing ratio for mortgagor households. The comparison helps identify the extent to which shifts in arrears may be due to budget pressures as distinct from market specific factors such as oversupply. Note that while it is the best available measure, securitised loans are not always an accurate reflection of arrears across the wider system. Differences have likely been compounded by lower major bank issuance in recent years – a higher share of ‘non-conforming’ loans alone has added 7bps to the total SPIN arrears rate. Recent reports from the major banks suggest systemwide arrears have shown a much milder rise over 2018. That said, the latest SPIN data is showing a notable lift in arrears since mid-2018 broadly consistent with estimated increases in debt servicing costs following increased to mortgage interest rates (the estimate incorporates changes to rates on investor and interest only loans as well as standard owner occupier loans rates). As at Nov 2018, the arrears rate was 1.6%, up from 1.2% a year ago (about 5bps of the rise reflecting the shifting share of non conforming loans). That is a touch above long run averages but a short of the previous peaks in 2011-12 and 2008. The picture by state shows rises across every jurisdiction, again suggesting interest rate increases are a key driver. Despite the recent lift, arrears remain considerably lower in NSW (1.2%) and Vic (1.3%) with the rise less pronounced than might have been suggested by the move in debt servicing ratios in these states. In contrast, arrears rates are more elevated in Qld (1.8%) and very high and rising more quickly in WA (2.8%). The latter may also be reflecting a more significant incidence of balance sheet problems across WA households with a mortgage. Perth’s dwelling price correction has been running for much longer than the adjustments in other capital city markets, with more buyers likely to have experienced cumulative price declines in recent years. Chart 21 shows an estimate of the share of property sales over the last 5yrs by the cumulative price change (based on city level moves in house and unit prices. It suggests that around 1% of sales have seen prices decline by over 15%, all of these being in the Perth market. 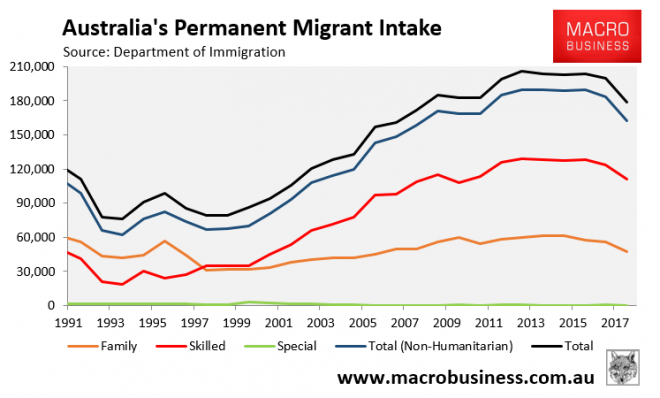 Wasn’t skilled migration meant to lift Australia’s productivity? Adding to a call by Reserve Bank of Australia governor Philip Lowe for politicians to apply a “laser-like focus” to productivity reforms to help lift subdued wages, Mr Brennan backed up that cry by calling for reforms to competition policy, regulation and the funding and design of the skills, health and education sectors. For years Australians have been fed the false claim that skilled migrants are younger, more educated, and more productive than locals, and that without a strong immigration intake, the population would grow old and the economy would stagnate. Economic models are often cited as proof that a strong immigration is ‘good’ for the economy because they show that real GDP per capita is moderately increased via immigration, based on several dubious assumptions. First, it is generally assumed in these models that population ageing will result in fewer people working, which will subtract from per capita GDP. However, it is just as likely that age-specific workforce participation will respond to labour demand, resulting in fewer people being unemployed, as we have witnessed in Japan. Even if this assumption was true, the benefit to GDP per capita would only be transitory. Once the migrant workers grow old, they too will add to the pool of aged people, thus requiring an ever-bigger immigration intake to keep the population age profile from rising. Academic demographer and mass immigration spruiker, Peter McDonald, also previously stated that it is “demographic nonsense to believe that immigration can help to keep our population young”. Second, it is generally assumed that migrant workers are more productive than the Australian born population and, therefore, labour productivity is increased through strong immigration. However, the evidence here is highly contestable, with migrants generally being employed below the level of their qualifications, as well as having lower labour force attachment than the Australian born population (more information here). Migrants have also tended to go into areas that are not experiencing skills shortages. Third, economists generally ignore obvious ‘costs’ of mass immigration on productivity. Growing the population without commensurately increasing the stock of household, business and public capital to support the bigger population necessarily ‘dilutes’ the capital base, leaving less capital per person and lowering productivity. 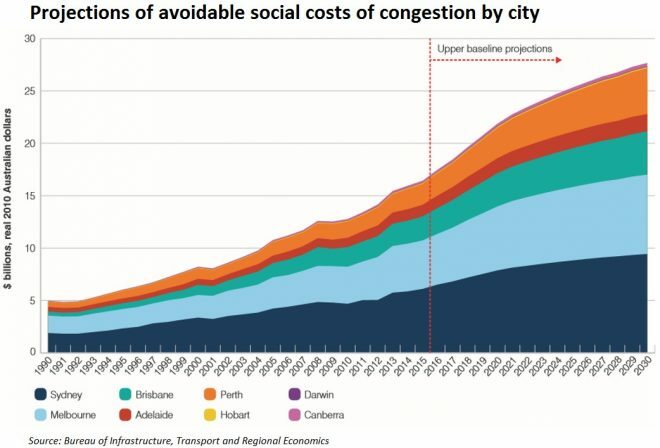 We have witnessed this first hand with the costs of congestion soaring across Australia’s big cities. Moreover, the cost of retro-fitting Australia’s major cities with infrastructure to cope with larger populations is necessarily very expensive – think tunnelling and land acquisitions – with costs borne largely by the incumbent population. Given Australia’s low savings rate, the large levels of housing and infrastructure investment required to keep pace with population growth also puts upward pressure on real interest rates. That, in turn, has kept the Australian dollar elevated for years making it harder to export from Australia and resulting in manufacturing closures. Finally, high immigration has unambiguously helped to lift housing costs. This has made it more difficult for younger households to invest in businesses, limiting entrepreneurship. High housing costs also creates barriers to labour mobility and social mobility, both of which matter for achieving Australia’s productive potential. Currently, there is no economic plan other than to flood Australia’s major cities with tens-of-thousands of extra people each year to stoke overall economic growth (but not growth per person), to support big business (e.g. the property industry), and to prevent Australia from going into recession (despite growth and income per person stagnating). Meanwhile, productivity and individual living standards are being eroded through rising congestion costs, declining housing affordability, paying more for infrastructure (e.g. toll roads and water desalination), environmental degradation, and overall reduced amenity. Mass immigration has hindered, not helped, Australian productivity.